Vinnie Vincent has added a second show at Graceland following the announcement of his plans to perform “full shred” electric guitar at his comeback performance. In addition to Friday, December 7th, 2018, Vincent has added a second show on Saturday, December 8th, 2018. “I’m overwhelmed by the love and support from the fans, and look forward to two incredible shows at Graceland,” Vincent said. The performances at Graceland will be Vincent’s first concert performances in over 30 years. Details and tickets at vinnievincentlive.com. Good for Vinnie, everybody loves a good comeback! I hope Vinnie is finally getting his s–t together. I would love to hear new music from him. He is a talented songwriter and a KILLER guitar player. His songs with KISS on CREATURES OF THE NIGHT, LICK IT UP, and REVENGE, as well as with his own band, show how talented he is. You have got to be kidding me! 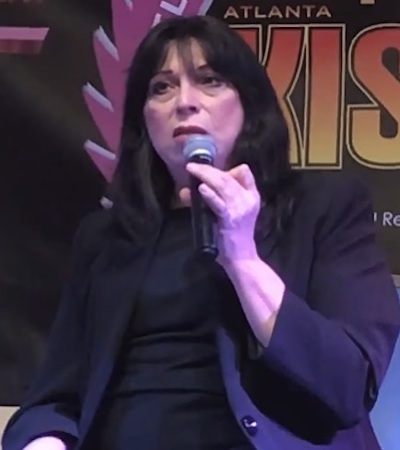 That is Vinnie Vincent? He/she looks like something out of a “Caitlyn” Jenner horror film. I just wanna say, if you remove the title track – Lick It Up is a criminally underrated album. So many good tunes. Considering his contributions on that and Creatures, it’s safe to say Vinnie creatively did more than any guitarist beside’s Ace….and I’m not trying to minimize the Kulick Brothers contributions. Bruce and St. John were better shredders. But Vinnie seemingly could write a good KISS song.